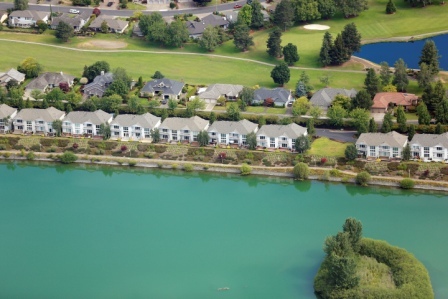 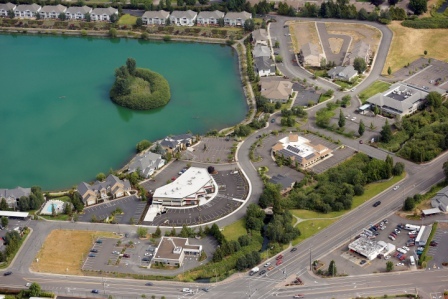 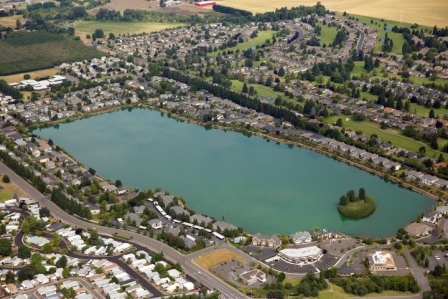 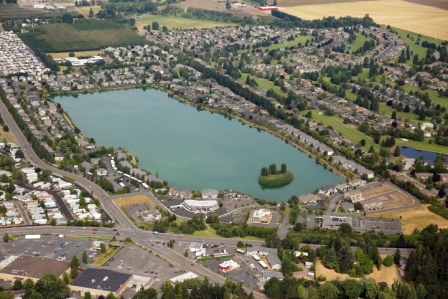 Project Description: Staats Lake/Inland Shores in Keizer, Oregon is a large mixed use development that includes single family and multifamily residential developments along with commercial development. 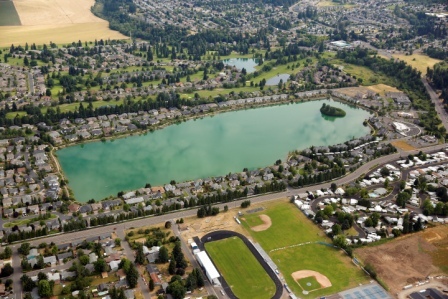 The Staats Lake project represents an excellent example of reclamation and re-use with the site originally being used for gravel mining. 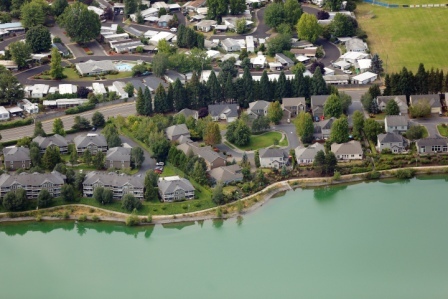 As the civil engineer for the overall site development as well as a variety of the developed parcels, Westech Engineering provided master planning guidance and detailed civil engineering design that included streets, utilities, an access bridge over Claggett Creek, and a stormwater pump station to control the lake water level.